I was sooo excited this came as an anime. I read the manga and loved it and it will be the perfect anime too. The characters draw you in emotionally. You'll love this too. Watch it and see. All the kids in the babysitters is so adorable and you'll laugh and cry with each one. Simple but really clean dialogue, a cast of characters you can't help but fall in-love (All with believable traits and specific characteristics to create personalities that grow when they bounce off one another), a surprisingly beautiful but saddening story with tones of potential and of course a bunch of adorable kids who are as playful as ever. And what happens when you put all of this together? WELL! It creates an exciting and fun world that's really close to our own. This is the story of Ryuichi and Kotaro, two brothers that have recently lost their parents. They were mostly on their own prior to their parent's death, with the older brother, Ryuichi, caring for the younger Kotaro. The chairwoman of the Morinomiya Academy, who lost relatives in the same crash that killed the brothers' parents, adopts the two of them, but assigns Kotaro to help in the child care center after school, and thus hangs the tale. The animations are excellent, with the drawings of the children, the best I've seen in anime. The story is engaging and the voice acting is top notch. Overall an excellent, if not overly cute anime. I think my heart stopped 8 times while watching this from cuteness overload. I need way more of this in my life. Every one of characters is heart warming and every one of the children is mindblowingly adorable. I don't even know how its possible but I'm already crying on the first episode. I might die by the end of the season. If your craving something to satisfy your sweet-tooth this is the anime for you! 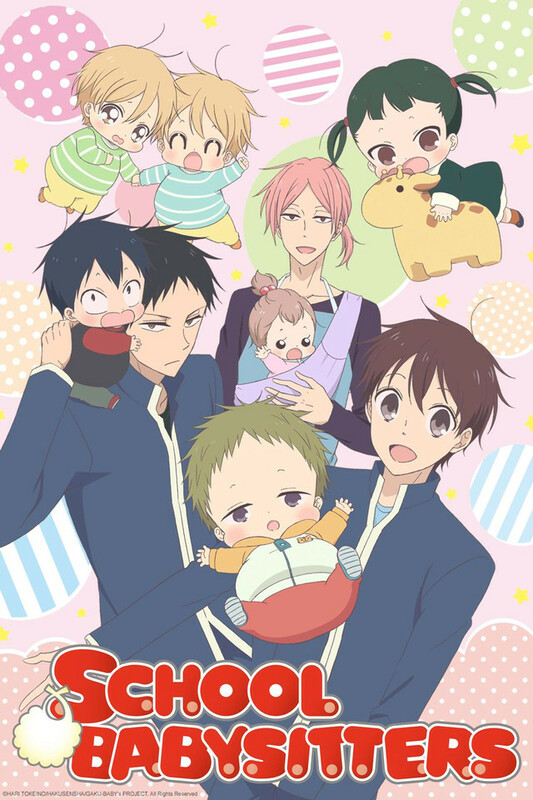 Super cute and sometimes goofy, this show is great for those who love slice of life. It's like Rugrats but with realistic babies and realistic situations. -If you are bored and had a bad day, just watch this show to relax. It is quite a bit realistic in terms of kids (some are noisy, crybaby, brave, quiet, energetic, clingy and lovely). Totally recommended! The animation and art is done really really well!